Immerse yourself in Spanish language and culture on a Club 50+ programme in Malaga, one of Spain’s liveliest and most vibrant cities! Whether you prefer lounging on the beach basking in the Andalusian sun, wandering around galleries or museums browsing interesting artefacts, or simply strolling through bustling streets whilst sampling traditional tapas, you are sure to fall in love with this beautiful destination. Our City Centre school couldn’t be more conveniently located, tucked away in the heart of the historical centre, on the first floor of a newly-renovated building. 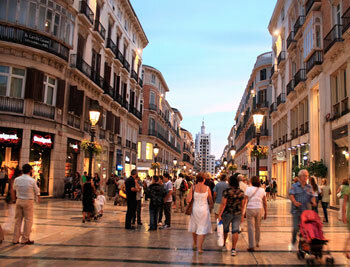 Just a stone-throw away from countless bars, cafés and restaurants, and within easy reach of the city’s main attractions, such as the Alcazaba and the Picasso museum, our City Centre school in Malaga will act as the perfect base for your Spanish immersion programme! Our Club 50+ course in Malaga is a 2-week programme, including 20 Spanish lessons per week, as well as a rich cultural activity programme. 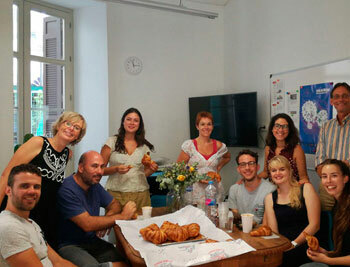 Lessons take place in the mornings, with around 6-8 students in each class, and cover all main aspects of the Spanish language, with a particular emphasis on communication. The cultural programme is designed to give you a first-hand insight into everything Malaga has to offer, whilst practising your Spanish skills in a wonderfully authentic environment. On top of all that, you will have the chance to share the experience with like-minded individuals of a similar age from all across the world! If you would like to stay in a warm and welcoming environment during your time in Malaga, where you can experience the typical daily life of a Spanish family, choose to stay with a local host family. Not only will this allow you to experience the culture first-hand, but also give you endless opportunities to practise speaking Spanish with your hosts. What’s more, you will even enjoy two delicious meals per day! 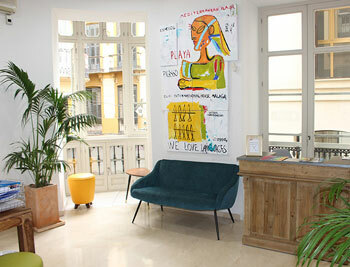 For a more independent experience in Malaga, you can opt for a private studio apartment. 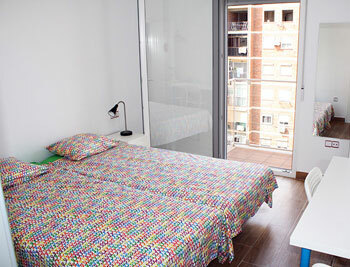 All studio apartments are located in the city centre (max. 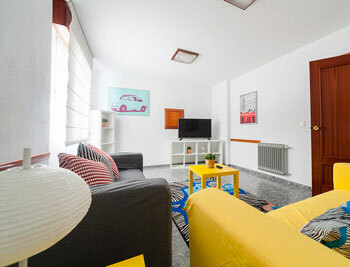 25-minute walk from the school), within easy reach of many shops, bars and eateries. If you enjoy your own independence but would like the opportunity to meet other students, we also offer shared apartments or student residence accommodation. The cultural activity programme will complement your Spanish lessons perfectly, giving you even more opportunity to practise the skills you learn in class. 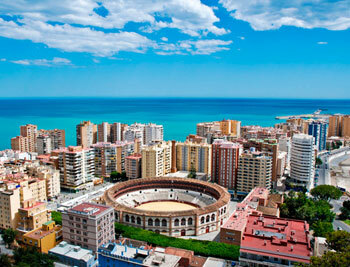 Get to know Malaga’s culture with guided tours, flamenco shows, wine-tasting, cooking classes, and more. Each 50+ session has a different theme, including extra activities and workshops relating to this theme - whether it’s museums and art, wine and gastronomy, or something else, you can guarantee that your time in Malaga will be a culturally enriching experience! Excursions are also available at the weekends for an extra fee. This course is suitable for students aged 50 and over with an interest in the Spanish language and culture, who prefer to study uniquely with other students of a similar age. 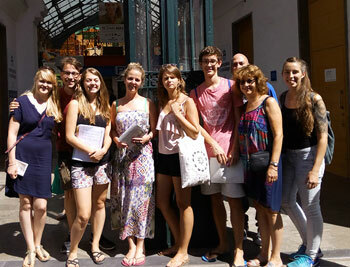 We recommend that students participating in this programme have an elementary to upper-intermediate level of Spanish. Malaga has a large international airport with excellent flight connections. From the airport, you can easily reach the city centre by public transport or by taxi. If you would prefer, we can arrange private airport transfers upon arrival/departure from/to Malaga airport at an additional cost.